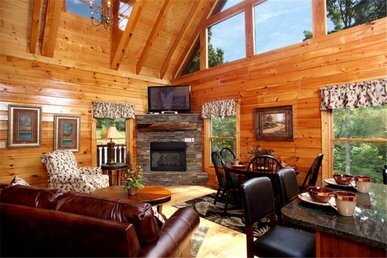 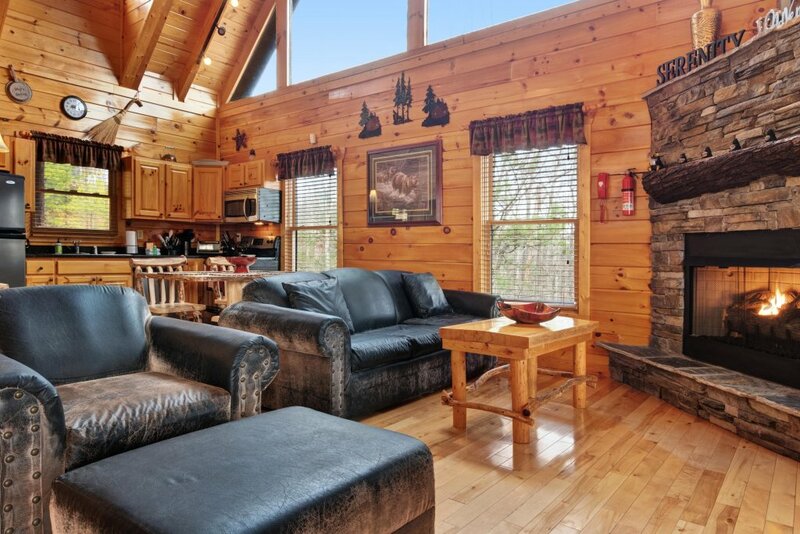 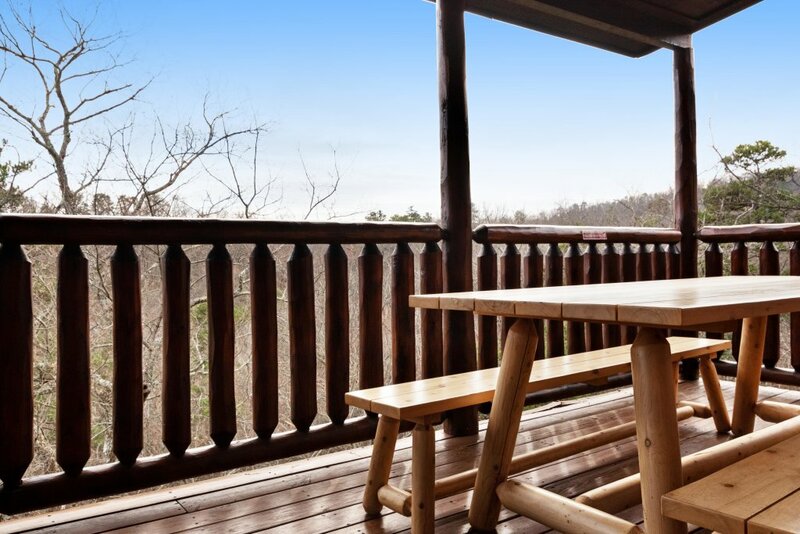 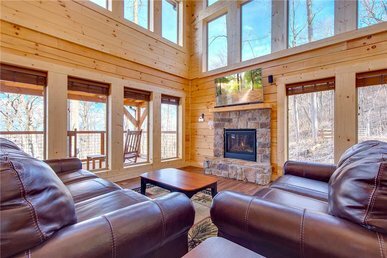 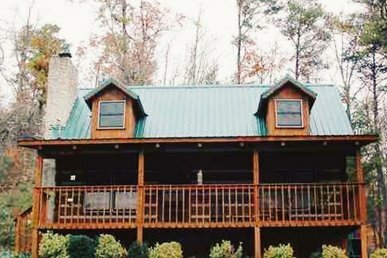 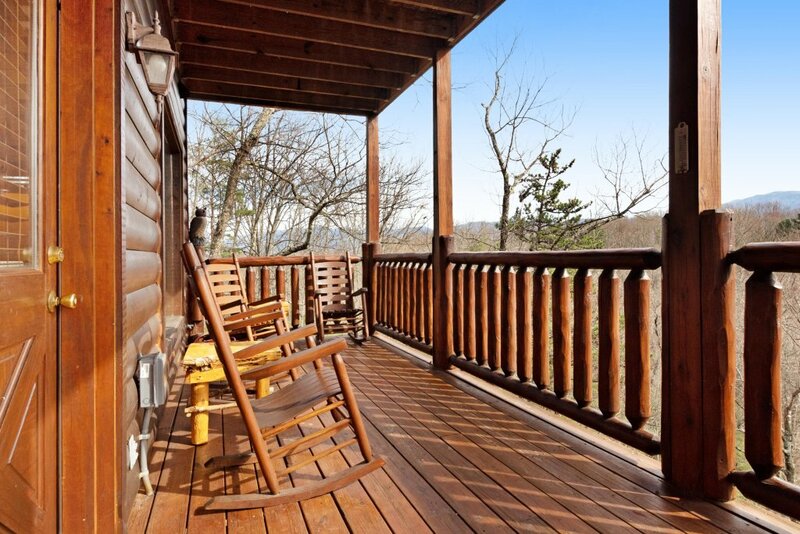 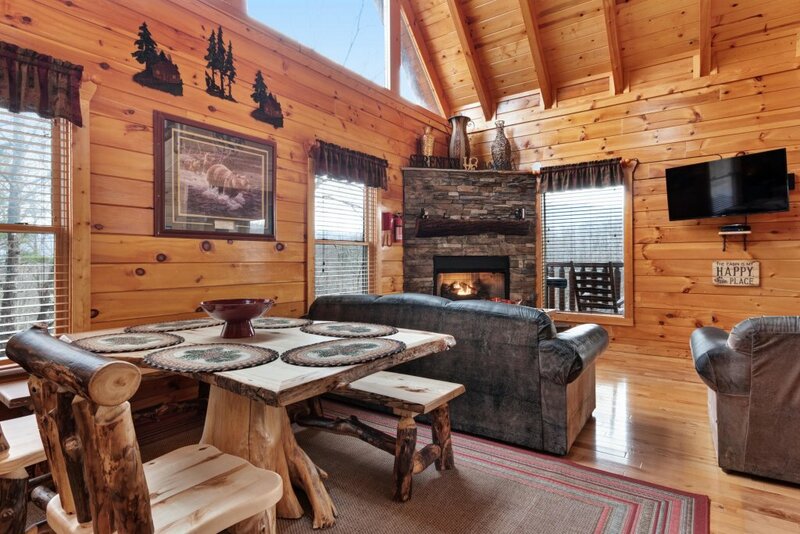 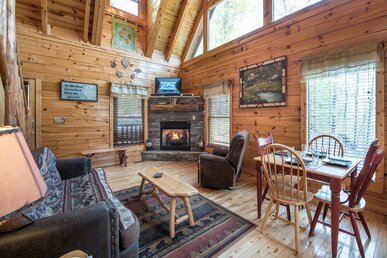 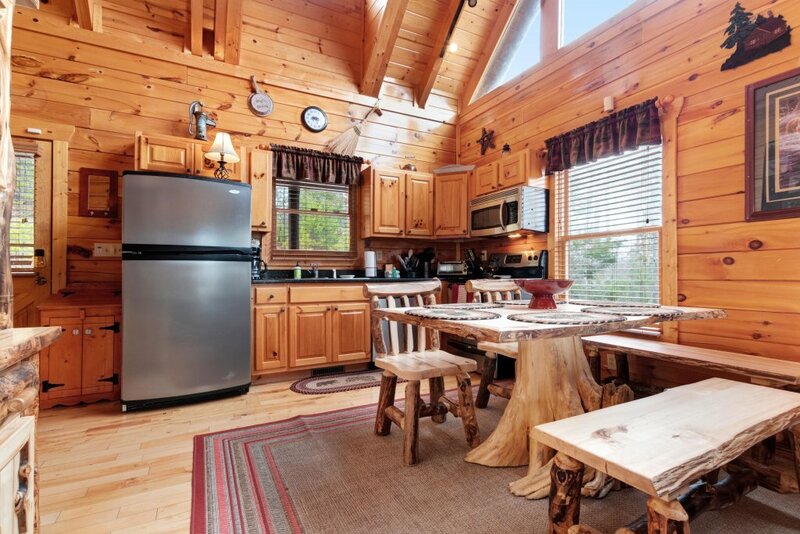 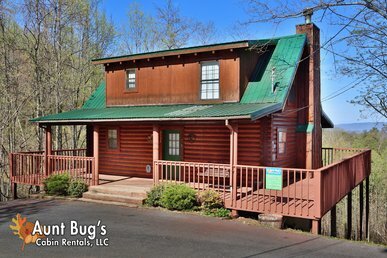 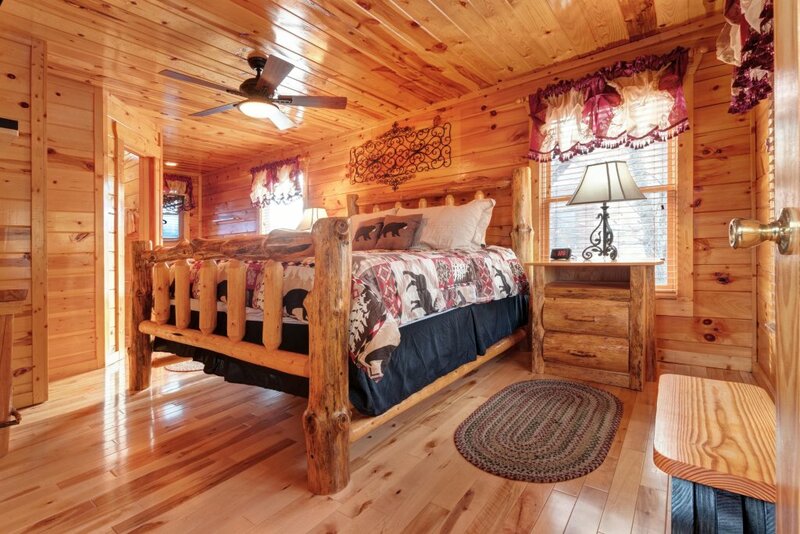 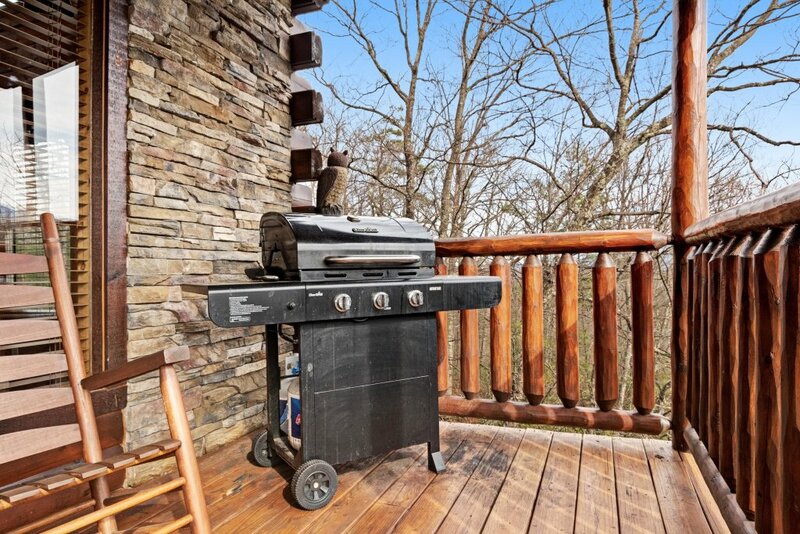 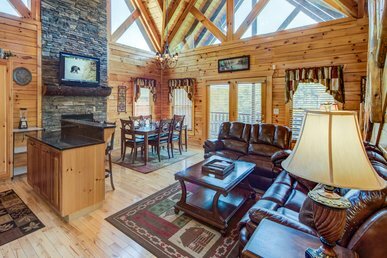 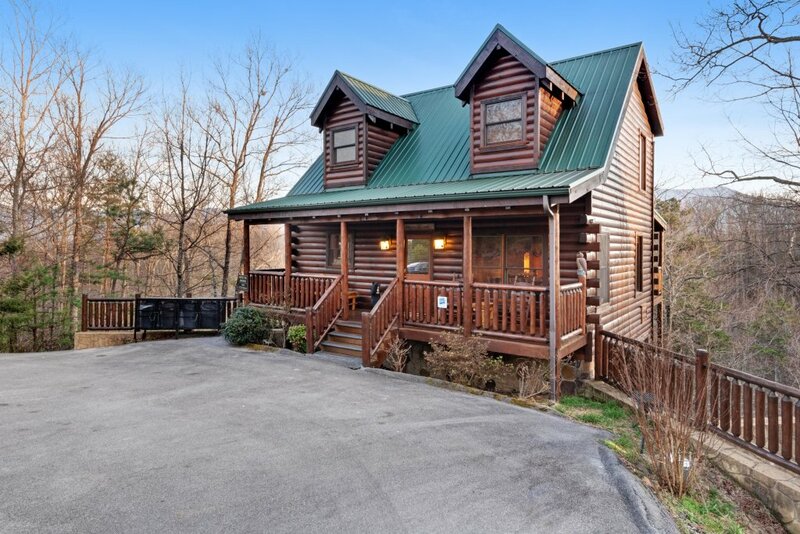 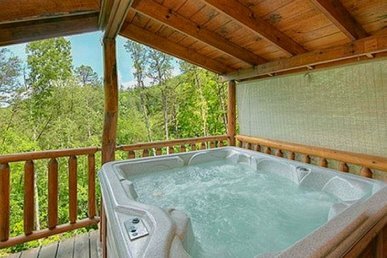 This mountain view cabin in Sevierville is the perfect destination for your next getaway in the Great Smoky Mountains. 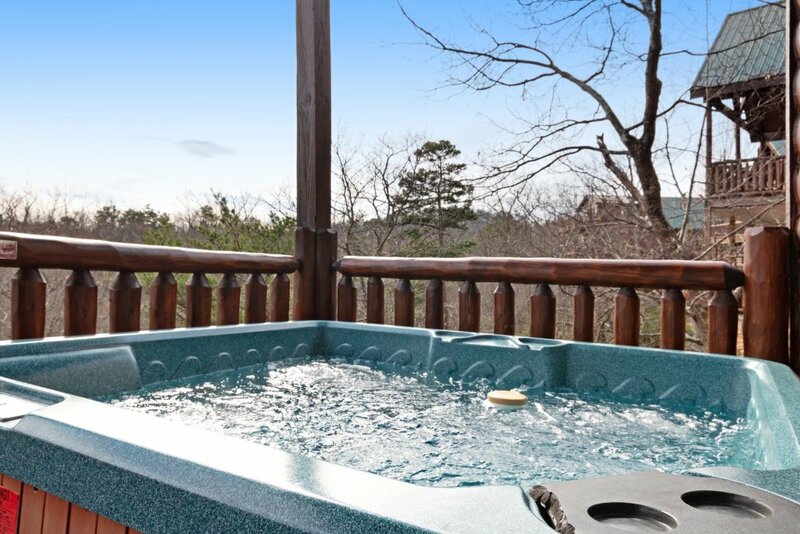 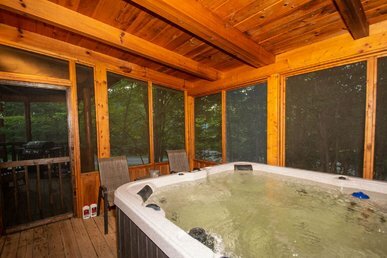 Offering a private hot tub overlooking the tree tops and a gas fireplace in the open living room, there is no shortage of places to relax here. 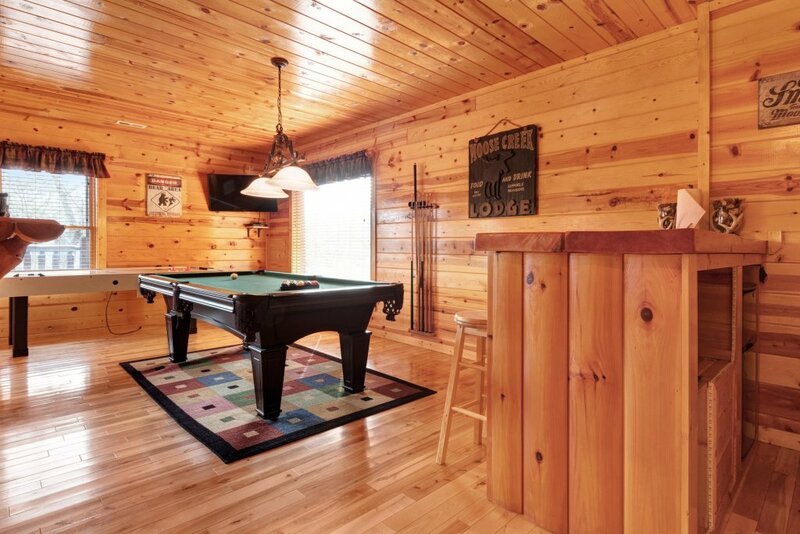 There's also a game room with a pool table, air hockey, and Ms. Pacman arcade, as well as a flatscreen TV with cable. 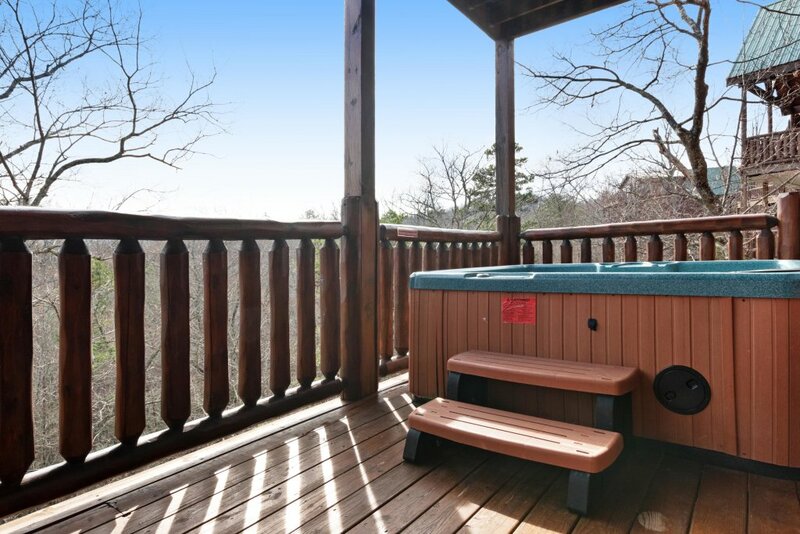 And you will have access to a shared pool. 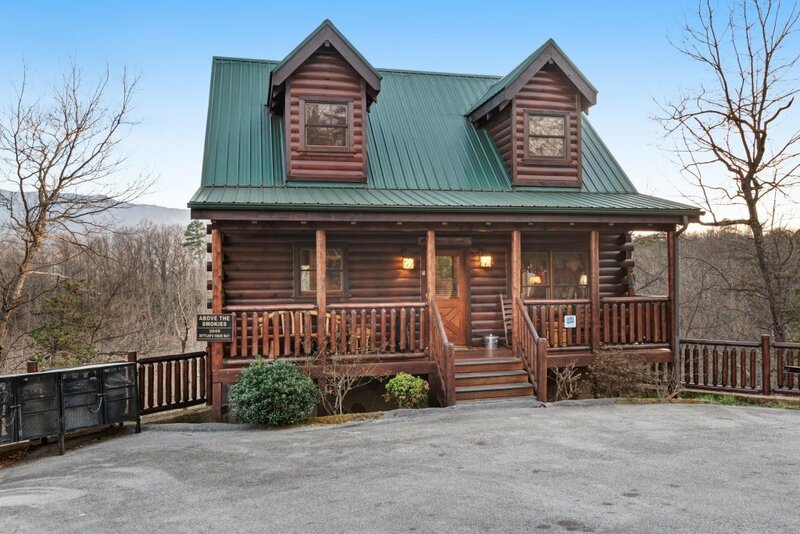 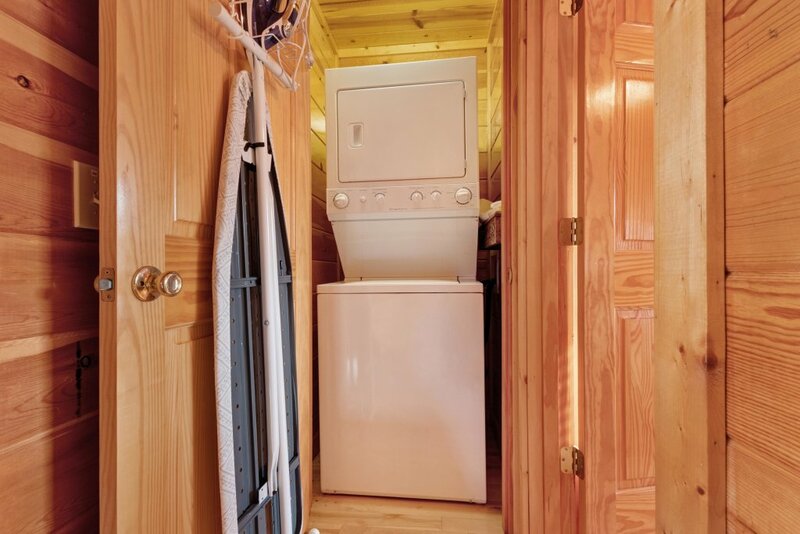 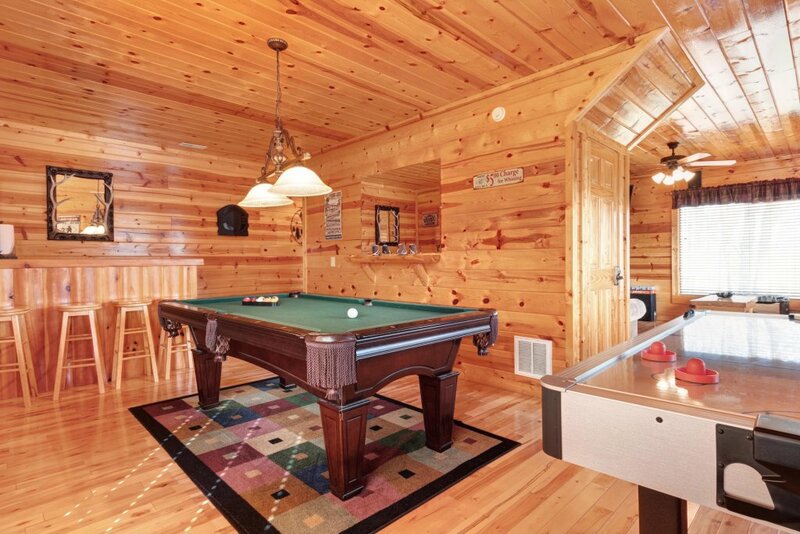 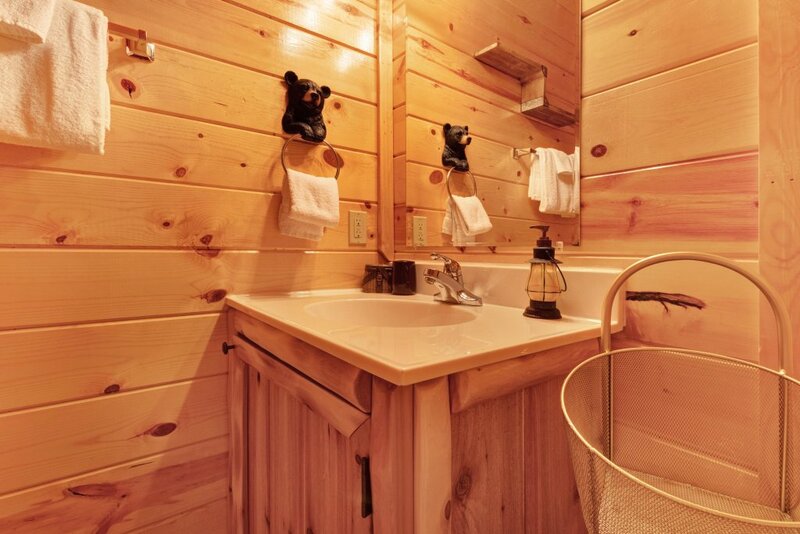 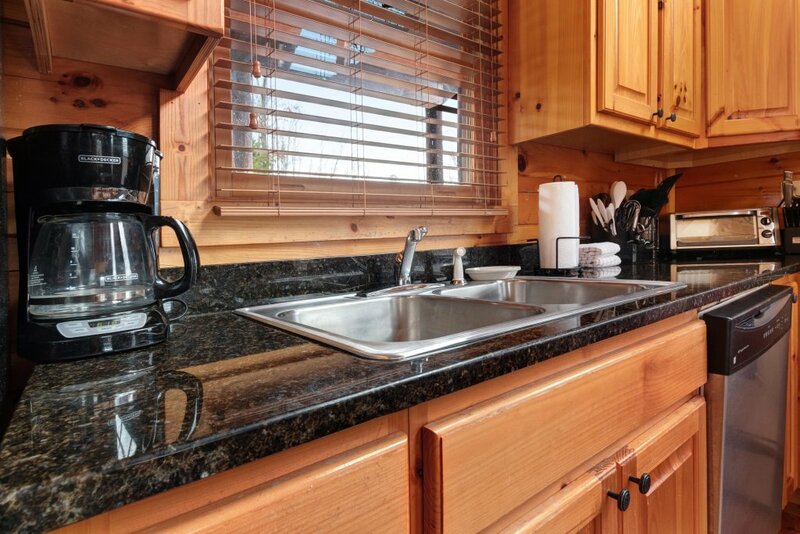 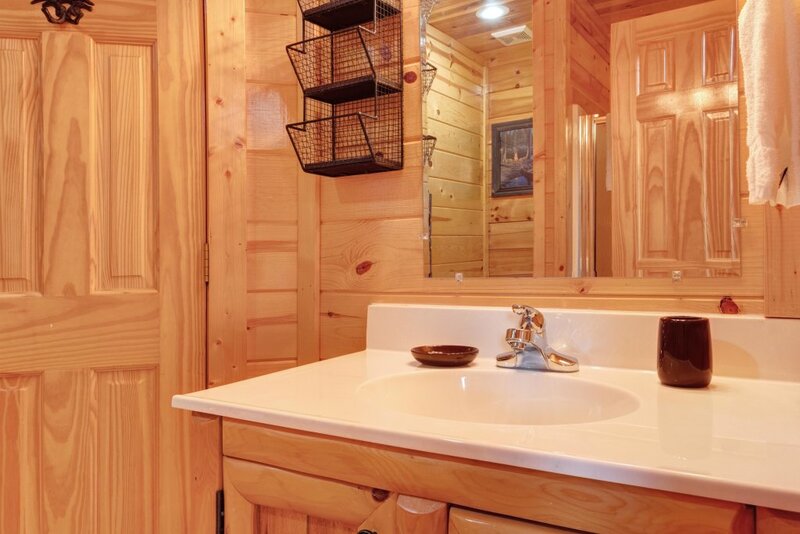 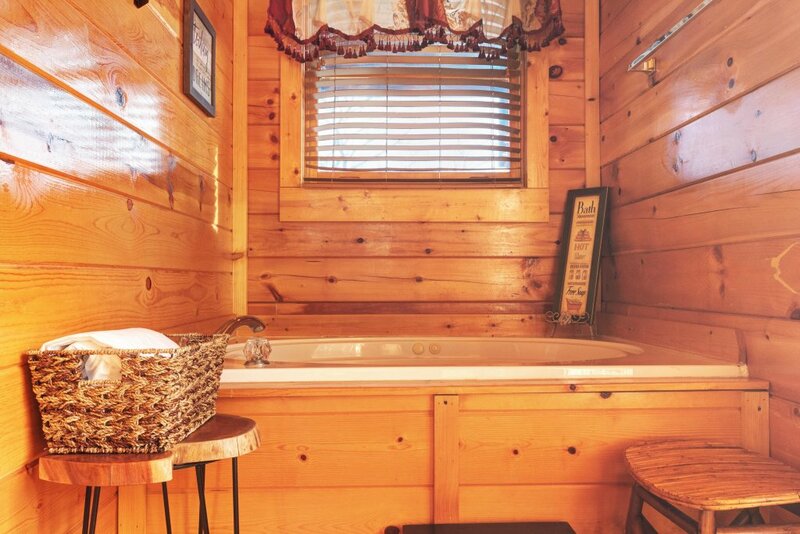 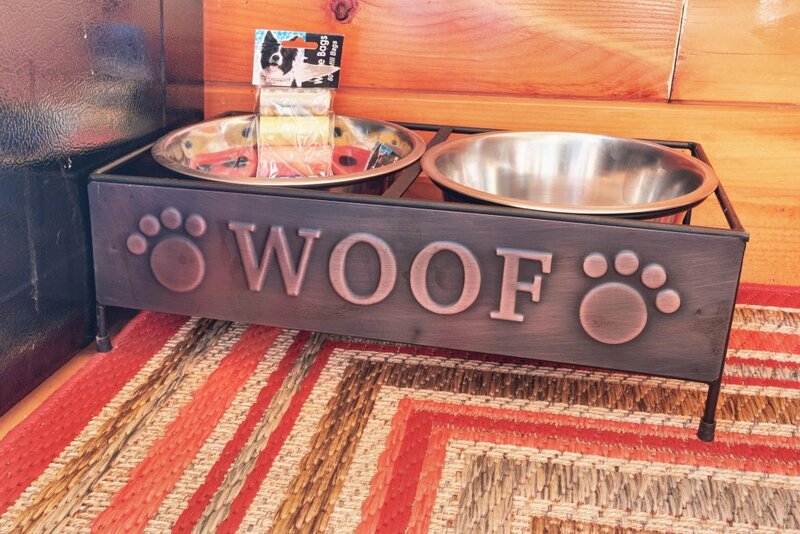 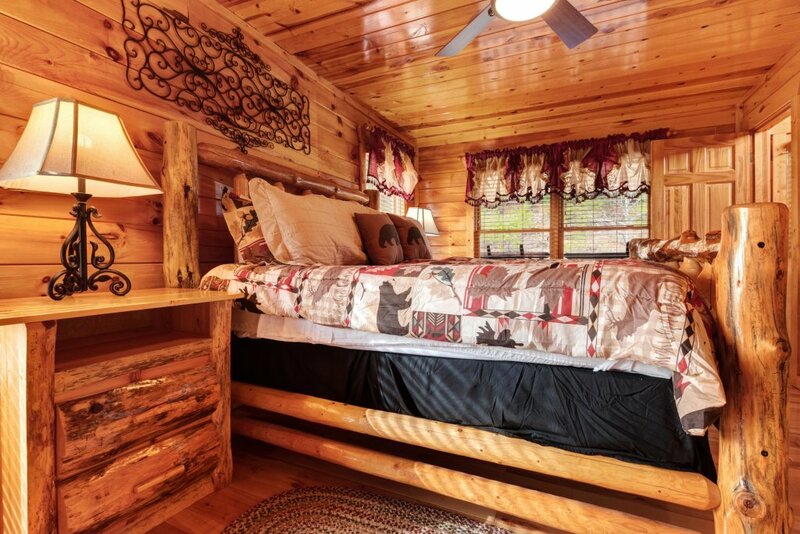 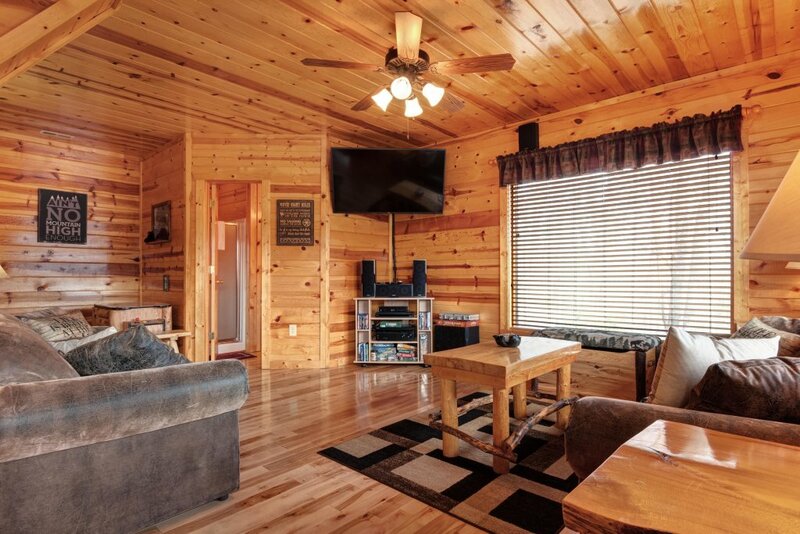 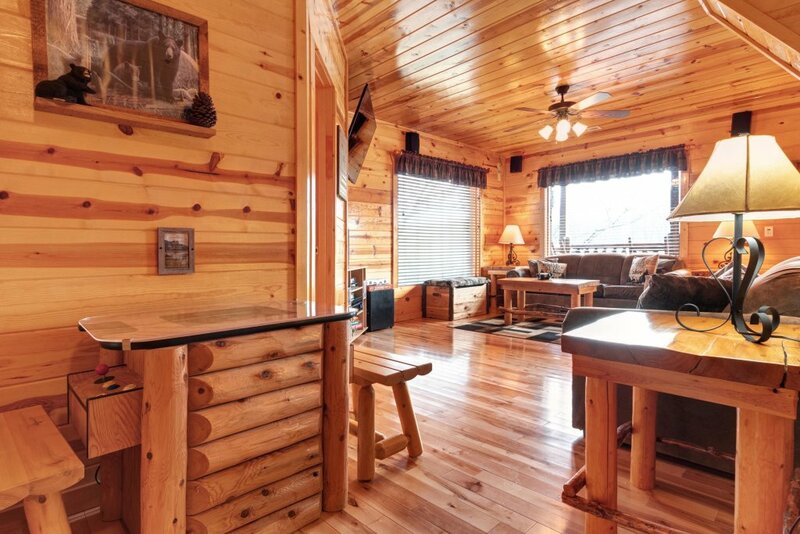 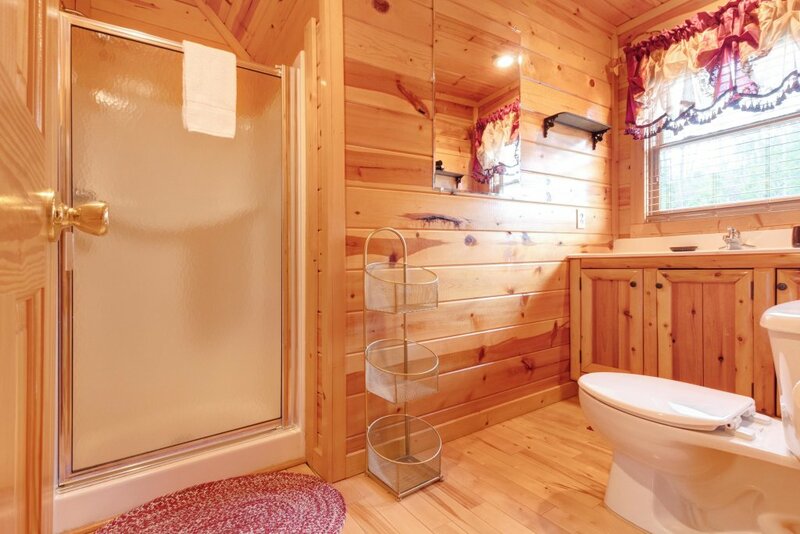 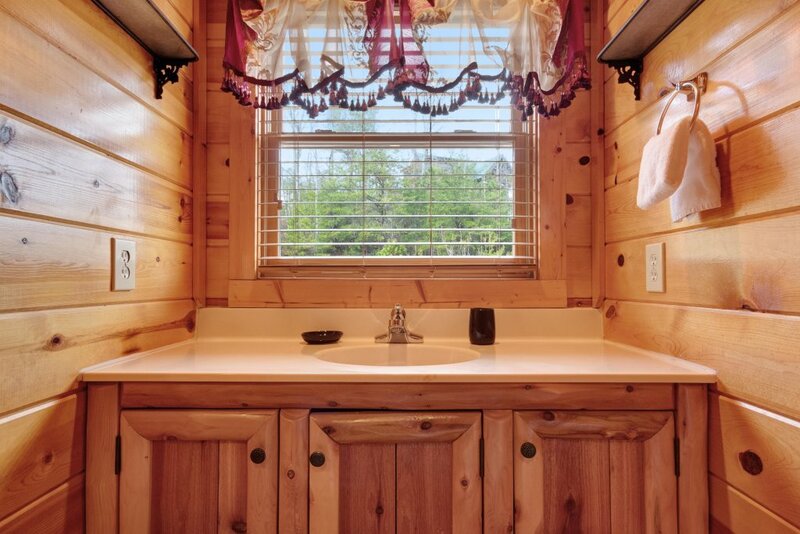 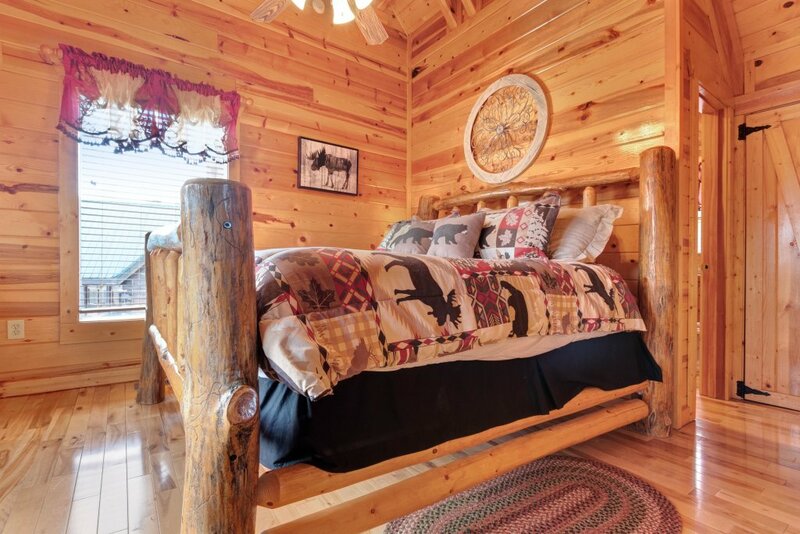 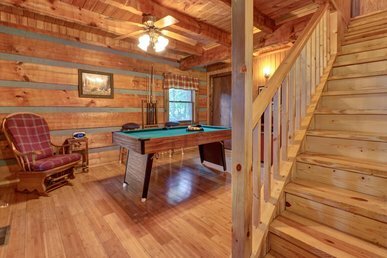 The cabin is just under seven miles from both Pigeon Forge and Gatlinburg, so you're within a short drive of both areas filled with entertainment. 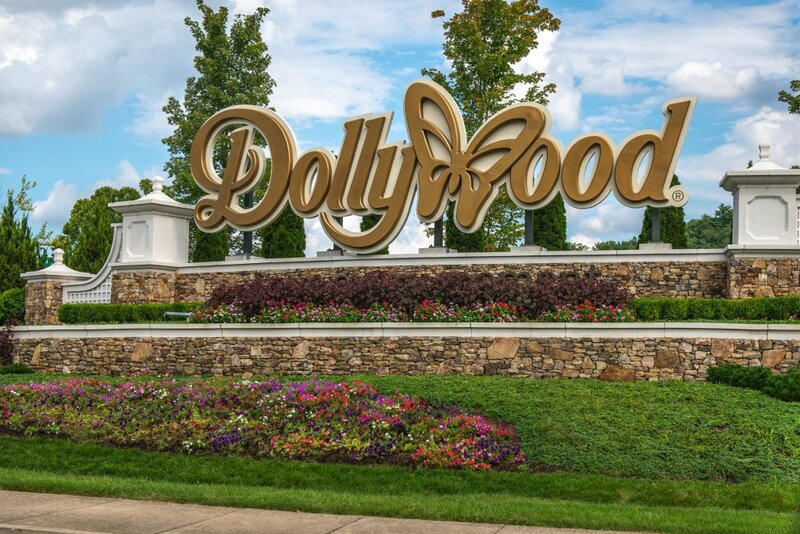 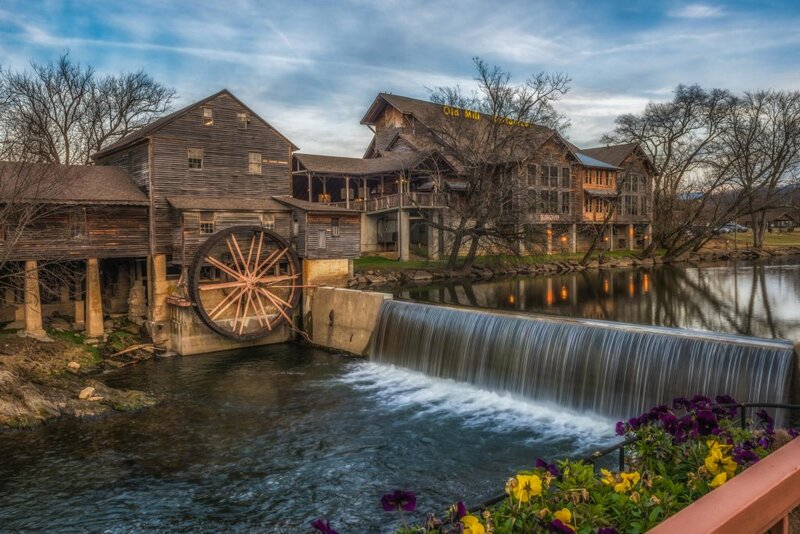 Visit the Dollywood amusement park, dine at the Hatfield & McCoy Dinner Show, or stroll through the halls of the Hollywood Wax Museum in Pigeon Forge. 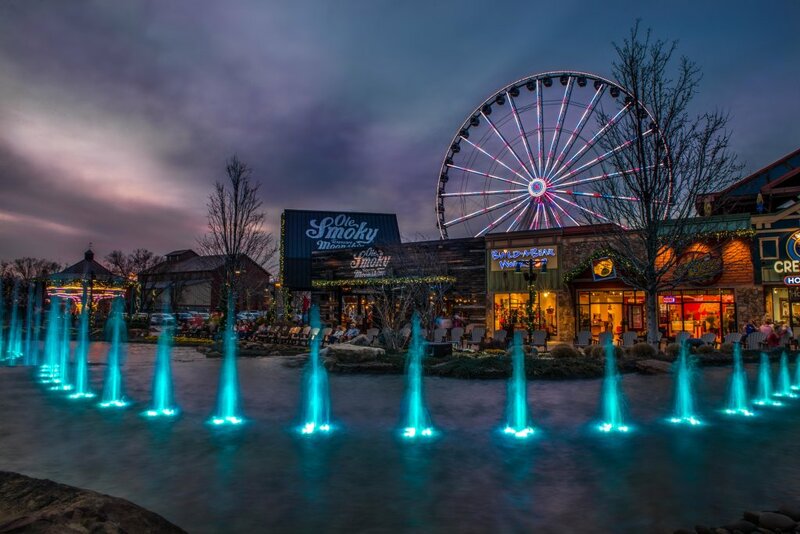 You can ride the coasters at Ober Gatlinburg, zipline between the ridges, and visit the Ripley's Aquarium of the Smokies in downtown Gatlinburg. 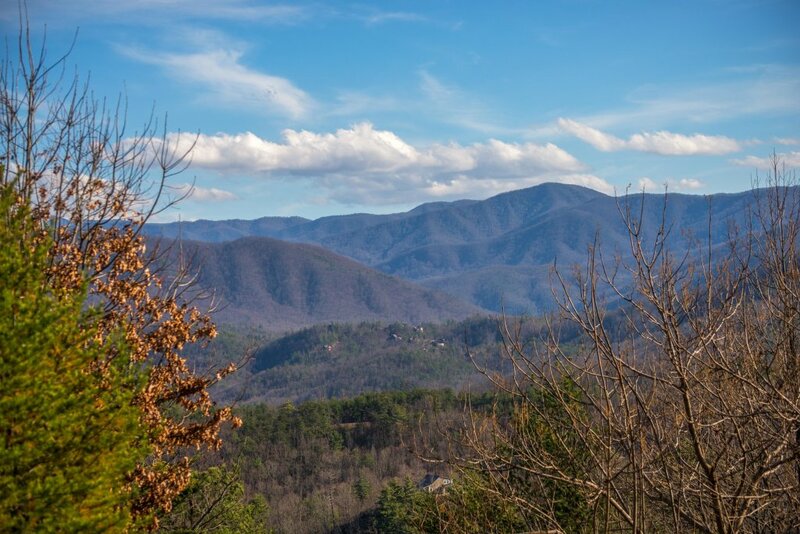 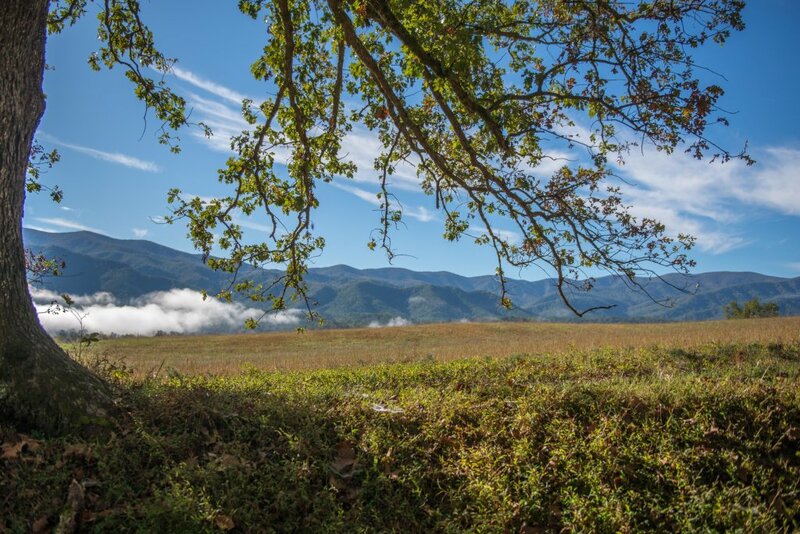 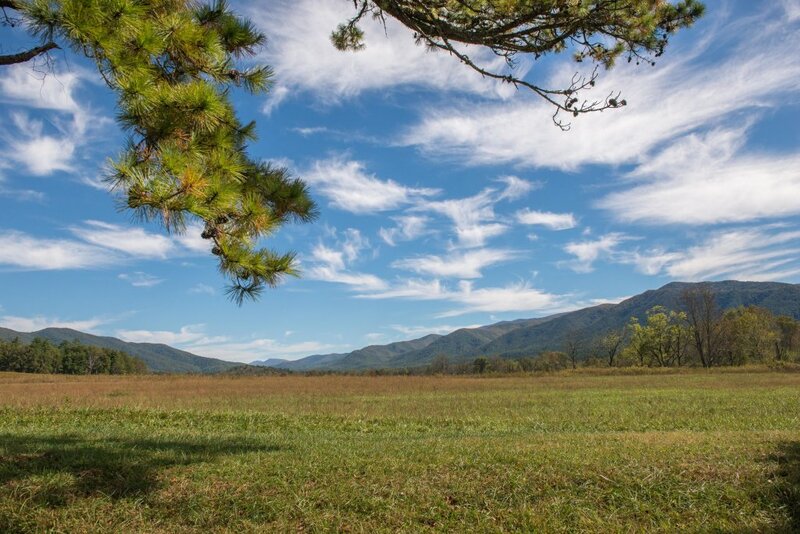 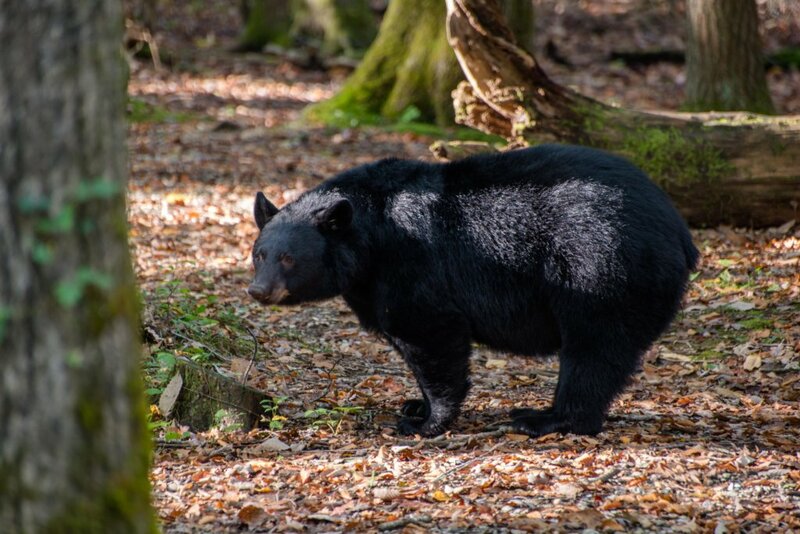 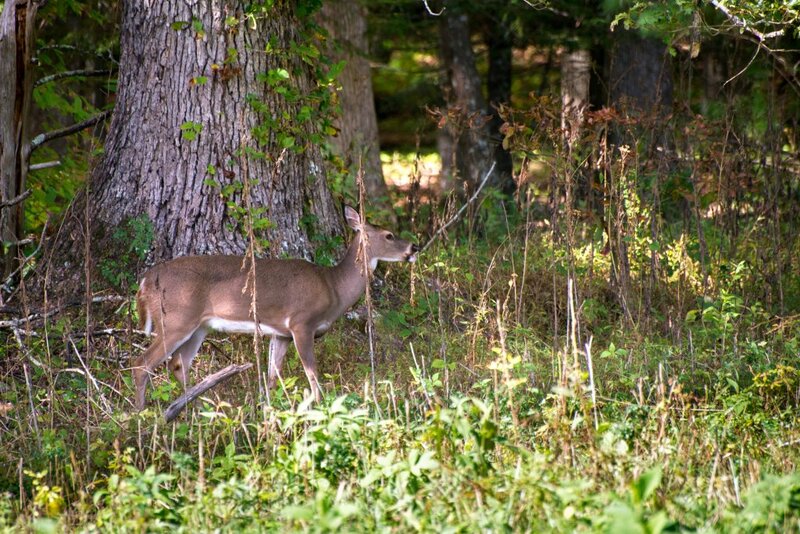 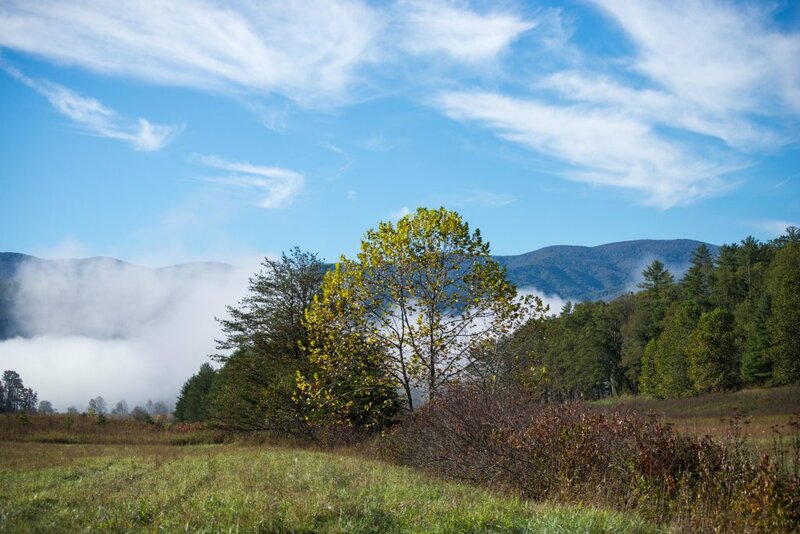 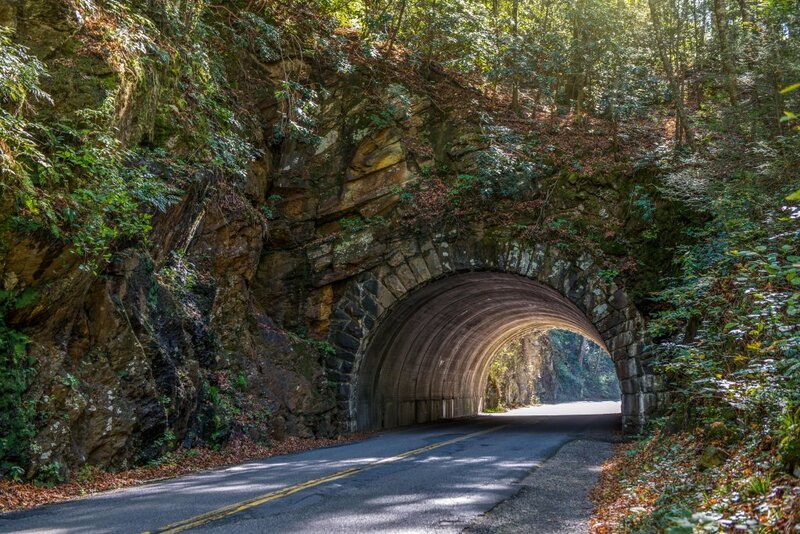 There's also trails at nearby Great Smoky Mountains National Park for hiking and sightseeing, just under 10 miles away.